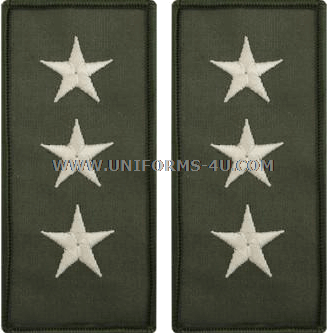 When wearing Flight Suits, Navy Vice Admirals display their three-star rank on the shoulders with embroidered or cloth sew-on grade insignia. 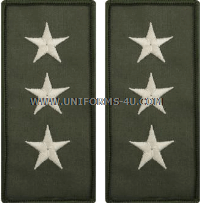 In the case of embroidered Vice Admiral rank insignia, the border of the background is placed up to the shoulder seam so that the actual insignia is about 5/8 of an inch from the seam; the insignia is centered between front and back of the shoulder area of the suit. 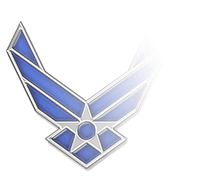 Flight Suits are authorized for wear by aircrew members and any individuals engaged in flight or flight-related duties on the day the Flight Suit is worn. 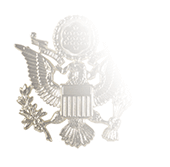 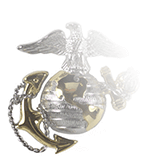 Ground support personnel are not included in this category, nor are non-aircrew maintenance or support personnel. 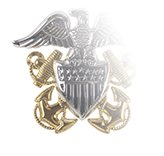 In the case of Vice Admirals, the definition of “flight-related” duties is a bit more flexible, particularly for those who are serving in Naval Air Systems Command or other Commands or Departments directly related to Navy Aviation. 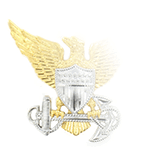 While the Flight Suit is authorized for wear by Vice Admirals at many locations within the National Capital Region, it is prohibited inside the Pentagon building, the White House and Executive Office Building, State Department, National Mall area (the area bounded by Capitol Hill and the surround Senate and House staff office buildings), and at all monuments and memorials.